Google's recently begun to use the term Mobile Moments to describe mobile's place in the consumer journey across devices. Specifically, trying to understand how search signals intent at a regional level and how retailers can capitalize on this intelligence. I'm certainly in Google's camp when it comes to search as a signal -- when you're asking a question about a product, you're almost certainly heading toward a purchase, depending on what information you discover -- and Google's plan to address (and monetize) these signals just got better. Earlier this week, Google announced a new ad product that allows retailers to tap into their massive databank of search and mapping data, offering them the opportunity to fully utilize local shopping trends and behaviors. For example, Google found that demand for Playstation 4 was 2x that of Xbox One in New York, while consumers in Los Angeles were nine times more interested in Xbox One. This kind of insight could change the entire strategy of merchandising and co-op advertising to fit local preferences and nuances in behavior. Why spend equally everywhere when the same dollar promoting Xbox One would go a lot farther in Los Angeles compared to New York? I shop here because of their people-first approach to marketing across devices. So, where does mobile fit into this behavior? Everywhere. 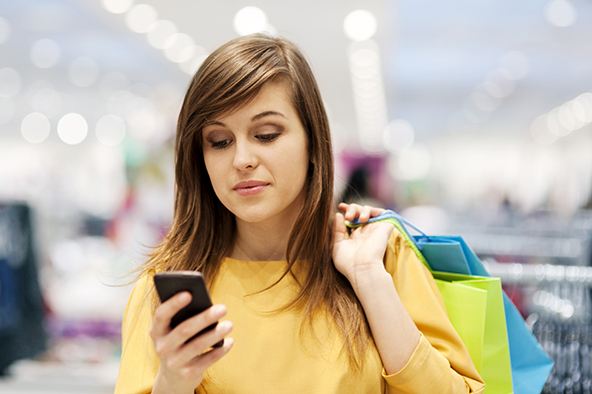 In fact, according to a recent study, 54% of shoppers are expected to shop in these Mobile Moments between other activities throughout the holiday season, rather than simply cramming it all into Black Friday or a "shopping day." This also includes the ever-present behavior of "show-rooming" -- where consumers are checking prices and comparison shopping online even while they are in other stores. Here's the bottom line: mobile is going to be bigger than ever this holiday season, and Google's got a new bag of tricks to make sure you're reaching the right customers with the right message on the right device.